Inbound marketing is the latest form of marketing with the aim of targeting potential and active customers seeking solutions to their needs Online ; mainly on social media and search engines.The inbound marketer generate leads,maintains relationship between leads and convert then to customers . Relationship between the leads and the company is maintain through email marketing and social media. The customers can later be converted to promoters of the brand or service. This career path require active internet users who are willing to expand their mindset. You dont really need to be a computer wizard to get involve. You can do it with a BA,Bsc or any diplomat you have. Companies will hire you if you can do the magic for them. We have many youths in Cameroon with talents that can take up this career path and get their dream drop or income. Today, i am enjoying many benefits of the Internet and one way for me to share with you is by providing knowledge that can make a difference in your life, technology know how, career and keep your mind up. Even though this post is meant to educate Cameroonians on the inbound marketing career path, any other person looking to pick up a dream job or start up a digital marketing agency can benefit. So far i have covered the following digital marketing careers. I will keep you updated with other digital marketing career paths in the days ahead. With these careers you can make money with your own ideas or learn the ideas and seek for a job. You have the choice to do so. Let us get back to our focus for today,Inbound marketing. My number one recommendation is practice. If you cannot apply your digital knowledge, then you are not making any good for your self. So if you take an inbound marketing course, try to apply to volunteer on some blogs or companies you admire on the web. We welcome interns on our plat forms. Inbound marketing is a form of digital marketing that makes use of social media, SEO, content marketing and email marketing techniques to pull customers to a business or product. This is very different from the traditional outbound marketing where we use the radio, television, billboards, newspapers, events among others to reach customers. Given the low online presence of Cameroonians and the little knowledge on how to use existing websites by most businesses in Cameroon, positioning yourself as an inbound marketer is something you will never regret. Let us get started with the basic requirements. Actually there is no university in Cameroon that teaches inbound marketing. So the best thing for you to do is to study this form of marketing, get certified and pursue your dreams. Again the certificates are just for formality, proof of practice (What you can do) is better than the certificates. One of the most important requirements is motivation. I will State in brief what you need to study in order to call yourself an inbound Marketer. The use of Facebook, Twitter, Linkedin and other for marketing. This is done by building an online community, managing the community and making conversions from this community. This can be a Facebook group, twitter lost, Facebok page, Linkedin groups and others. Search engine Optimization (SEO) is the use of techniques to increase the site visibility on search engines like Yandex, Bing, Google another. 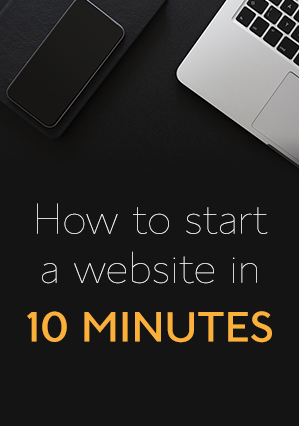 This increases the number of visitors to your website. The more the visitors the more chances you have to increase your conversion rate. This is a marketing techniques that businesses use to gain get targeted audience. This is done by creating and publishing relevant content in a consistent manner. This technique equally helps to build trust between the business and the client. It equally helps potential customers to know the type of brand or business they will be dealing with. Email marketing is the use of email to advertise a product or brand , get information from clients, propose products in a clear and concise manner. Email marketing techniques had grown rapidly, thanks to the creation of CRM. This technique had been very effective to E-commerce websites. In addition to the skills above. You should be a creative thinker,read an interprete data,use marketing automation software or platfroms. Some companies will require the inbound marketer to have a knowledege in HTML ,photoshopping,and CSS. With the evolution of technology and the internet, billions of dollars are circulating on the internet everyday. Businesses thus need a cost effective method to have their own share of the billion dollar industry. Cameroon businesse are not left out. Every Business need inbound marketing techniques . 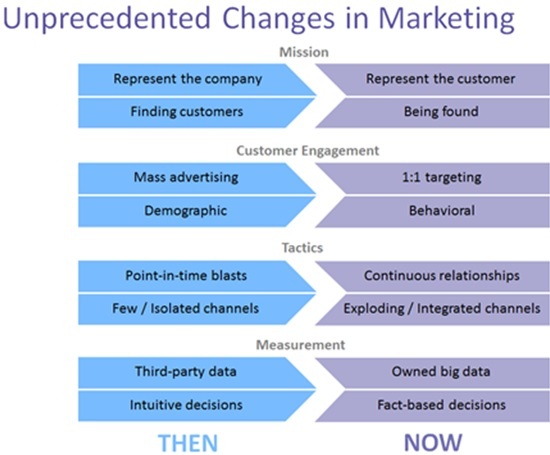 The Infographic below from Marketo.com explains why every business must consider using inbound marketing techniques. I will equally do a post on why businesses need inbound marketing. As we can see, marketing had undergone changes today. Business thus need to use latest marketing techniques to boost sales and increase profit. Presenting yourself as a digital marketing expert will be a a life saving opportunity to any business that need to increase its profits. 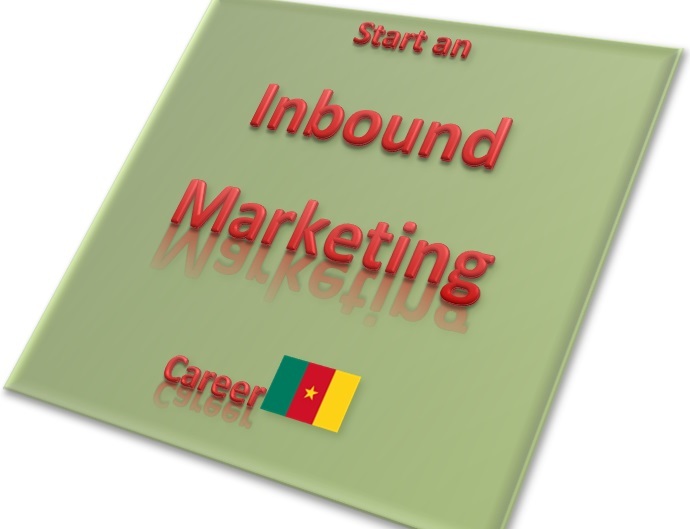 It is really rare to find Inbound marketing positions in Cameroon . This is because businesses are not aware. However, you ca get an inbound marketing job anywhere in the world. We are building the future of digital marketing in Cameroon. Join now so that you can enjoy the digital future we are working on now. This all depend on the company and Country you are taking this job position at. Many companies in Cameroon dot have inbound marketers. Permit me to share the salaries offered for the inbound marketing position in some countries and companies in the world. -The average salary of an inbound marketer is $ 84 00 according to Moz.com annually. -$ 72 000 is the typical annual salary of an inbound marketing consultant at Hub spot. 1. Take our digital marketing programs offered by RANSBIZ. We offer programs for both companies and individuals. 6. Research on inbound marketing techniques on Google. 7. Practice and perfect your knowledge . One easy way to do this is by creating a blog ,create content and rank kit for any keywords related to the niche of the blog. 10. Remember to come back and say thank you where you learnt about digital marketing. There is always more for you when you say thank you. i. Deliver more leads to the company. This mean you have to think of strategies that will pull people attention to the company's offers which you can convert them to customers. You should be able to use blog content to attract strangers. You can then convert them to leads. The other members of the marketing team can now work to convert them to customers and later on promoters. Thus you should be able to apply the inbound marketing steps which includes Attract ,Convert, Close and Delight. Leads are the backbone of your business. Having quality leads means more profits to the company. ii. Improve or create call to actions on websites, create landing pages , special offer pages ,Thank you pages and other pages that can help attract readers . iii. Market qualified leads (MQL). This is the process where you develop a relationship with the buyer by clarifying his doubts .Such relationship will easily convert potential clients to full customers. This is done by following the customer in process called the buyers journey. This require you to apply your email, social media and content marketing skills. v. Read and interpret data such as email analytics, website visitors, social media data, Google analytics data etc. This will help you to device other marketing strategies to convert leads that have not made a purchase to the company’s product. In the entire major thing is attracting potential customers and making them to make a purchase. It will be very effective if the company creates an inbound marketing team. Are you a Business that Need the Services of an Inbound Marketer? We do Online and offline inbound marketing training for both companies and individuals. email: ransbiz@live.com skype : ransbizangu. I conclude, have selected a smart and surprising website with fascinating material.